Welcome to our coverage of PBOT’s 20s Bikeway Project. See the official website for more information. 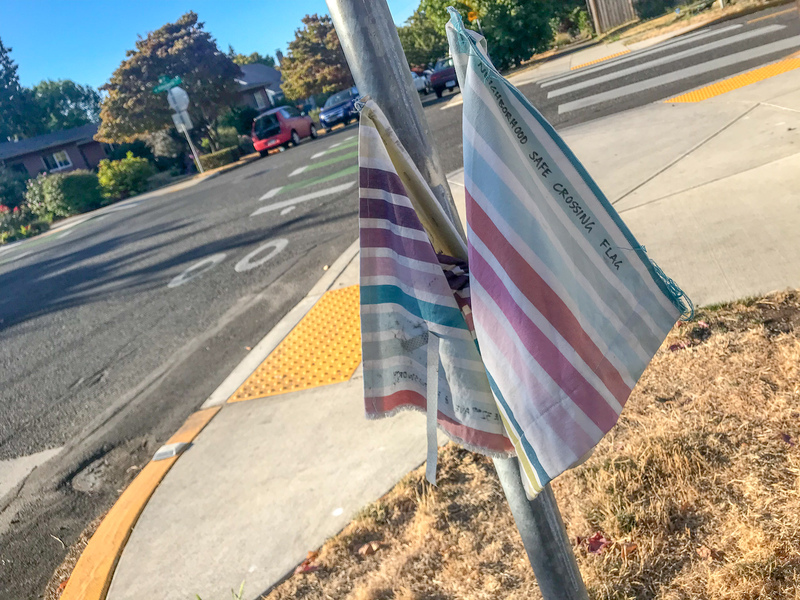 Someone who lives in the Concordia neighborhood is so concerned about the crossing of NE 32nd and Killingsworth that they took it upon themselves place crossing flags on both sides of the intersection. One of the centerpieces of the new 20s Bikeway is this updated crossing of SE Powell Blvd at 28th that includes median islands and a bike-only traffic signal. Four years after planning work got underway and seven years after it was funded, the City of Portland will officially open the 20s Bikeway today. 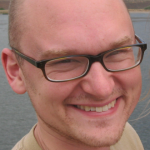 for a neighborhood greenway route, some say. The coalition of neighborhood associations that represents inner Southeast Portland is pushing for some 11th-hour changes that it says would improve the planned 20s Bikeway. In a letter signed by its president, backed by a 14-2 vote of its board and circulated Wednesday, Southeast Uplift makes three requests of the city. 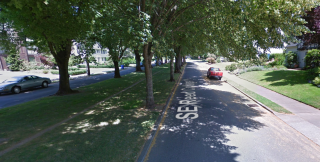 First, it proposes moving the southernmost leg of the route one block east to Reed College Place south of Tolman Street, avoiding the No. 19 bus line on 32nd Avenue. target “design user” — a 12-year old girl? This is a guest article by Terry Dublinski-Milton, who sits on the board of directors for the Southeast Uplift neighborhood coalition. 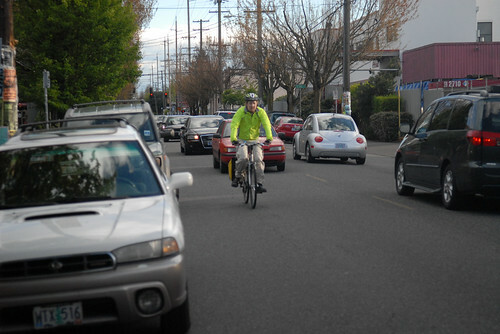 It’s digested from an essay published Monday on the BikeLoudPDX website. This winter, Portland will release the 20s Bikeway for contract bid with a design that City Hall will tout as a modern, much needed north-south bikeway. Though this statement may technically be correct, my viewpoint is quite different. “The 20s” is primarily a pedestrian safety project with secondary auto and bike capacity improvements. 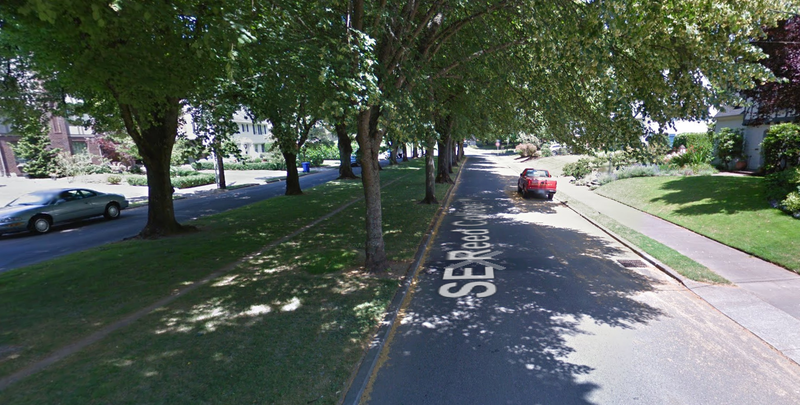 It needs to be labeled as a bikeway because the federal money that funded it requires it. I would more accurately describe it as a series of needed pedestrian improvements with small bikeway advancements connected citywide by sharrows. The commercial stretch of 28th Avenue will get speed bumps and a 20 mph speed limit. The first on-street, low-stress route that (more or less) connects Portland’s northern and southern borders is likely to start construction in April or May. The City of Portland wants to create a second, more comfortable crossing of Powell at 28th, but the state says it won’t allow one unless bike lanes and bike boxes at 26th (shown here) are removed. Three weeks after being asked if it can cite any evidence supporting its claim that removing a bike lane can sometimes increase bike safety, the State of Oregon has come up empty. Moreover, a state spokeswoman wrote in an email Tuesday that four studies cited by the City of Portland that document safety benefits of bike lanes are inadequate, though the state did not say in what way the studies fall short. “More research needs to be done,” the Oregon Department of Transportation said in its statement. Research notwithstanding, the Oregon Department of Transportation is continuing to deny the City of Portland’s request to install a new stoplight at 28th Avenue and Powell (which would let the city create a new north-south neighborhood greenway on 28th) unless the city agrees to first remove the narrow bike lanes from nearby 26th Avenue. About 600 to 800 people a day currently bike on 26th to cross Powell. The city wants to create a second, more comfortable crossing at 28th, but the state says it won’t allow one unless the lanes and bike boxes at 26th are removed. The Portland Bureau of Transportation is facing pressure from its counterparts at the Oregon Department of Transportation to do something it’s almost never done before: remove bike lanes from a street. 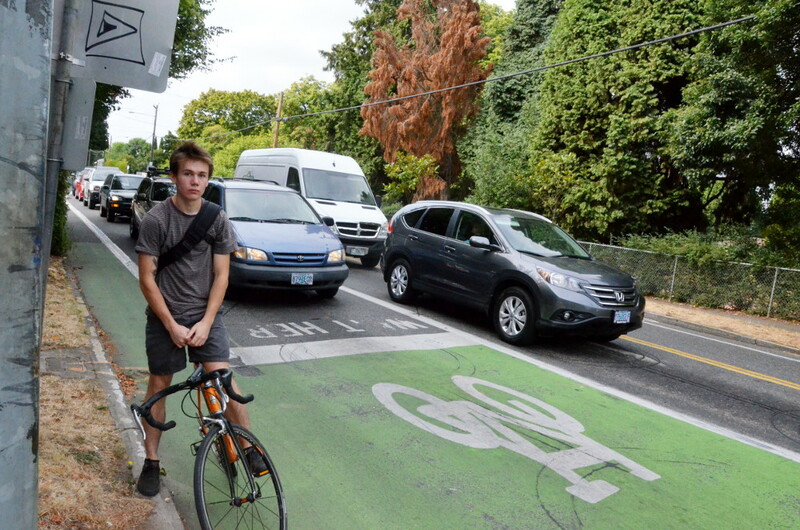 An ODOT official said she could not cite evidence other than the site-specific judgment of her engineering colleagues that removing the bike lane on SE 26th Avenue would improve overall road safety. But she said that because 26th is not as safe to bike on as 28th would be, it stands to reason that the bike lane on 26th should be removed in order to encourage people to cross at 28th. 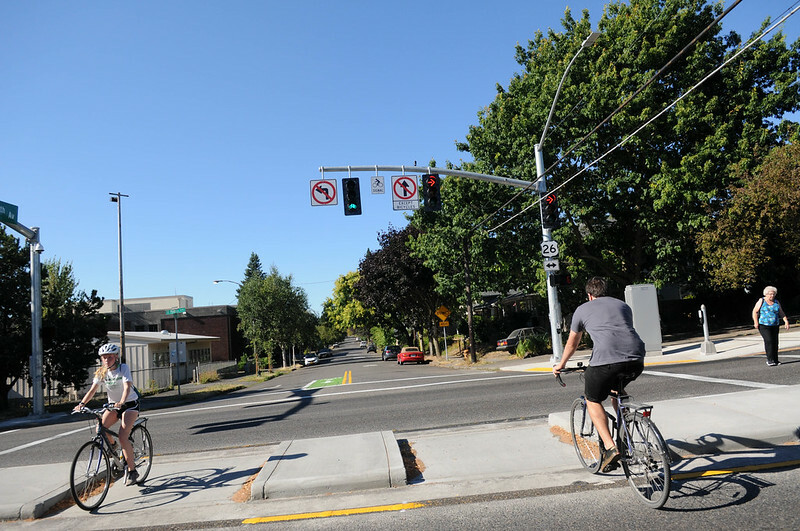 Therefore, ODOT has agreed to approve the city’s request to add a new traffic signal at 28th and Powell only on the condition that the city remove the bike lane and bike box from 26th. 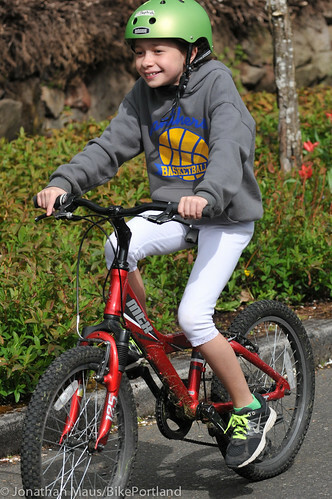 Southeast Portland has always been the heart of Portland’s biking culture. But as the last few weeks have made horrifically clear, it’s still full of problems. In an article published Friday on the Southeast Uplift neighborhood coalition’s website, a new member of that organization’s board laid out three concrete and seemingly achievable suggestions for making the area a bit better — as well as a perceptive theory about the recent problems on Southeast Clinton Street. The southbound view at 26th and Powell. Police said preliminary information indicated that the man was biking south when a northbound truck turned left in front of him. A collision involving a pickup truck and a bicycle critically injured a man biking southbound on 26th Avenue just before 10 a.m. Sunday morning. Police said the injured man’s leg was severed after the northbound truck turned left onto Powell in front of him. Alistair Corkett, 22, was “transported to a Portland hospital with life-threatening injuries” but is expected to survive. Some people bike on Woodstock Boulevard’s sidewalk to avoid the door-zone bike lane that would be upgraded as part of the 20s Bikeway Project. 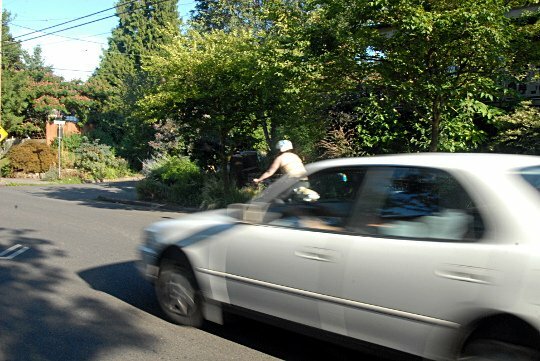 The Eastmoreland Neighborhood Association is trying to stop Portland from widening the four-foot door-zone bike lanes along four blocks of Woodstock Boulevard. The four blocks would be a key link in the planned 20s Bikeway, the first continuous all-ages bike route to stretch all the way from Portland’s northern to southern border. 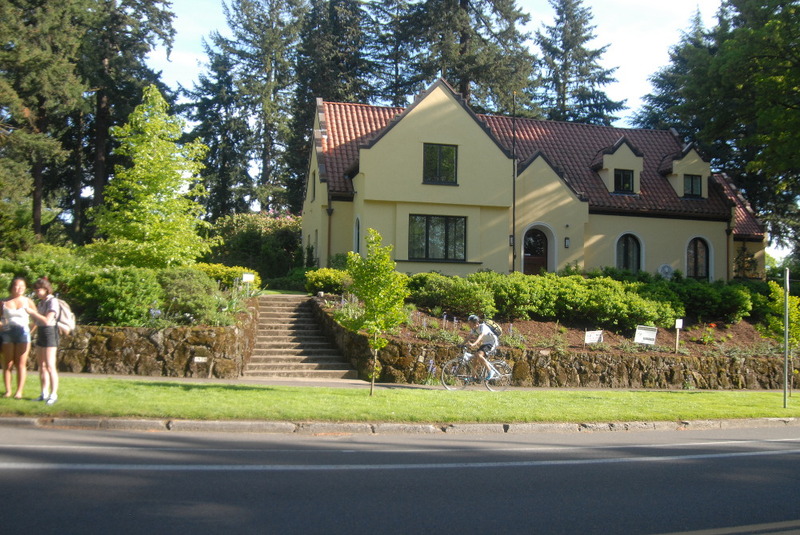 But Kurt Krause, chair of the neighborhood association’s bike committee, said the benefits of a continuously comfortable route aren’t worth the costs of removing curbside parking in front of seven large houses that overlook the Reed College campus across the street. All seven houses have private driveways and garages on their lots.